I was wandering around Facebbok a little while ago looking for interesting tidbits of information all of you might find interesting and I came across the Soft Glass Invitational. 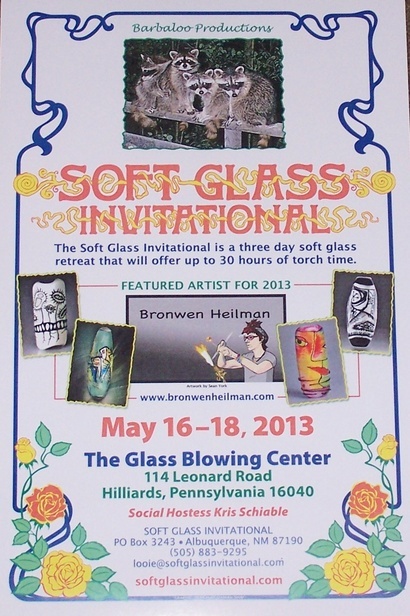 Sounds like a fun event next month, May 16-18 at The Glass Blowing Center in Northeast Pennsylvania. Bronwen Heilman was making an announcement about Emilio Santini joining the retreat. Very cool. Bronwen is the featured artist. Lewis Wilson will also be there…check out the web site for all of the details.